The Huxley 38th Annual All-Nighter Bonspiel wrapped up just after 4 pm on Sunday. January 20. 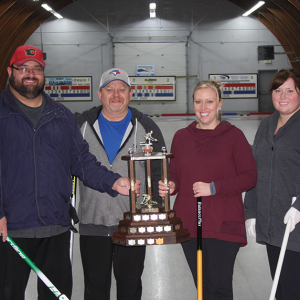 The Trophy went to the winners of the A event under Skip Mitch Bauer rink, of Torrington, over the Gary Bucker rink from Kelowna. The winners in the B event was the Justin Nillson rink from Edmonton over the Jeff Rawlings rink from Edmonton. 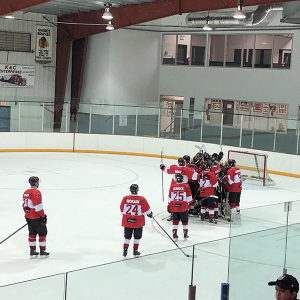 C event winners were the Randy McArthur rink from Huxley over the Richard Jensen rink from Huxley. 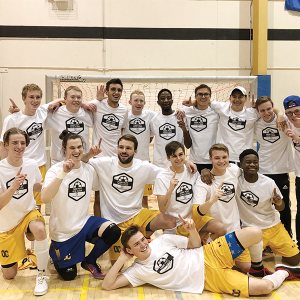 Prairie College played host to five ACAC (Alberta Colleges Athletic Conference) schools this past weekend at the Prairie College Futsal Classic tournament, with some games held at the Rick Down Athletic Centre, and some at the Three Hills School. The Olds College Broncos, Lethbridge College Kodiaks, The King’s University Eagles, Medicine Hat College Rattlers, and Ambrose University Lions were all in town for some exhibition play. The Three Hills Curling Club hosted their largest Farmers/Business Bonspiel to date with 128 curlers making up 32 teams. The bonspiel kicked off on New Years Eve and wrapped up on Sunday, January 6. Shawn Fobes took home the “A” event with the Al Hampton rink winning the “B” side. It was Jeff Bauer in the “C” event and Jody Towers won the “D” side.